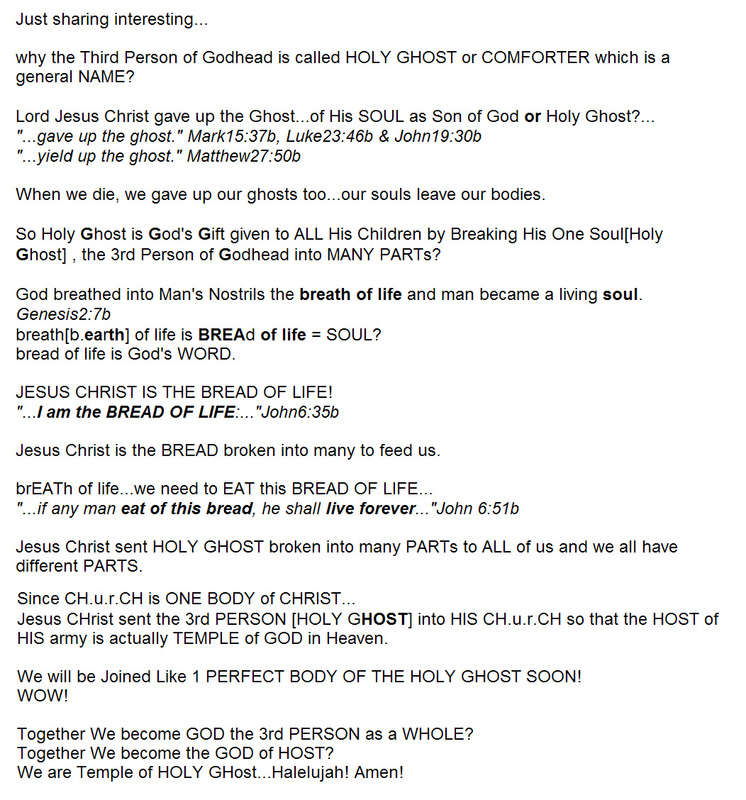 Bible is Book of Life coded in 3Dimensions? 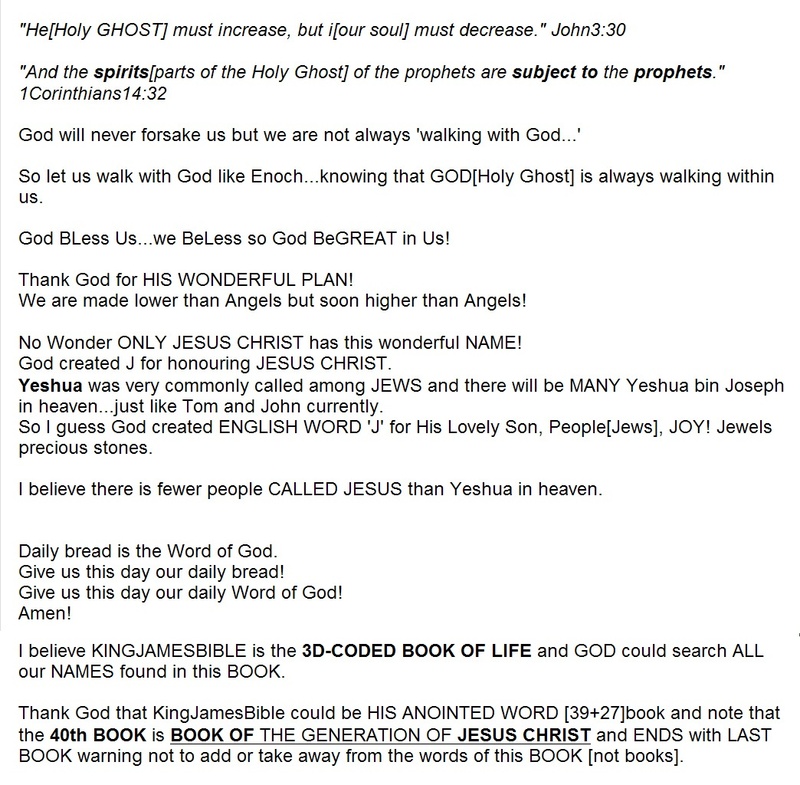 Bible is Book of Life coded in 3Dimensions? Our names in Bible? 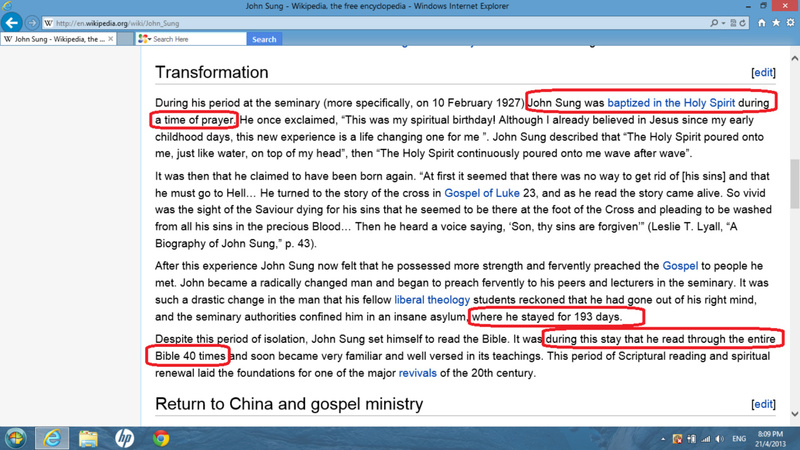 Great Chinese Evangelist John Sung read Bible 40times in 193days! 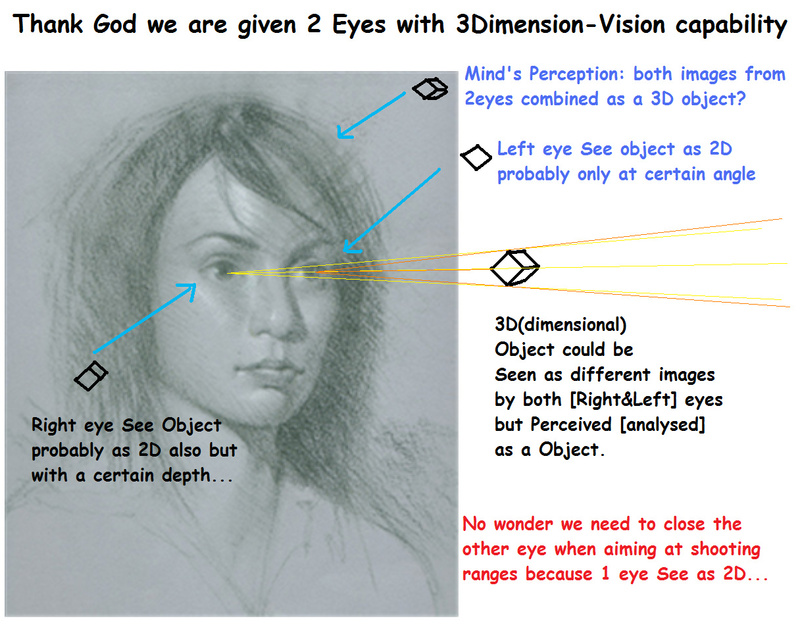 Every Believers's names are found written in the Bible using 3d[dimension] code!?!? lo, we turn to the Gentiles. 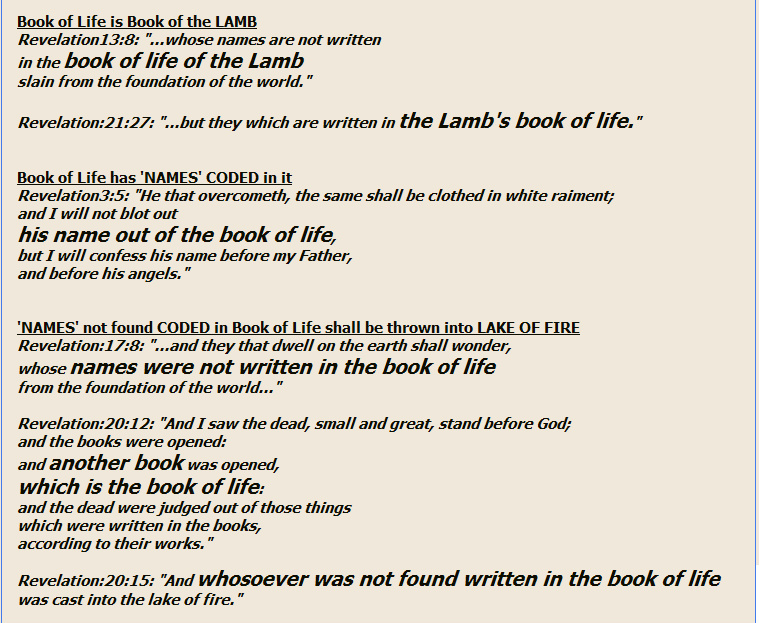 but they which are written in the Lamb's book of life. Genesis:34:19: "And the young man deferred not to do the thing, because he had delight in Jacob's daughter: and he was more honourable than all the house of his father." Exodus:17:16: "For he said, Because the LORD hath sworn that the LORD will have war with Amalek from generation to generation." Leviticus:11:2: "Speak unto the children of Israel, saying, These are the beasts which ye shall eat among all the beasts that are on the earth." Numbers:10:11: "And it came to pass on the twentieth day of the second month, in the second year, that the cloud was taken up from off the tabernacle of the testimony." Deuteronomy:3:24: "O Lord GOD, thou hast begun to shew thy servant thy greatness, and thy mighty hand: for what God is there in heaven or in earth, that can do according to thy works, and according to thy might?" Joshua:7:23: "And they took them out of the midst of the tent, and brought them unto Joshua, and unto all the children of Israel, and laid them out before the LORD." Judges:18:6: "And the priest said unto them, Go in peace: before the LORD is your way wherein ye go." 1Samuel:30:21: "And David came to the two hundred men, which were so faint that they could not follow David, whom they had made also to abide at the brook Besor: and they went forth to meet David, and to meet the people that were with him: and when David came near to the people, he saluted them." 1Kings:8:14: "And the king turned his face about, and blessed all the congregation of Israel: (and all the congregation of Israel stood;)"
2Kings:17:16: "And they left all the commandments of the LORD their God, and made them molten images, even two calves, and made a grove, and worshipped all the host of heaven, and served Baal." 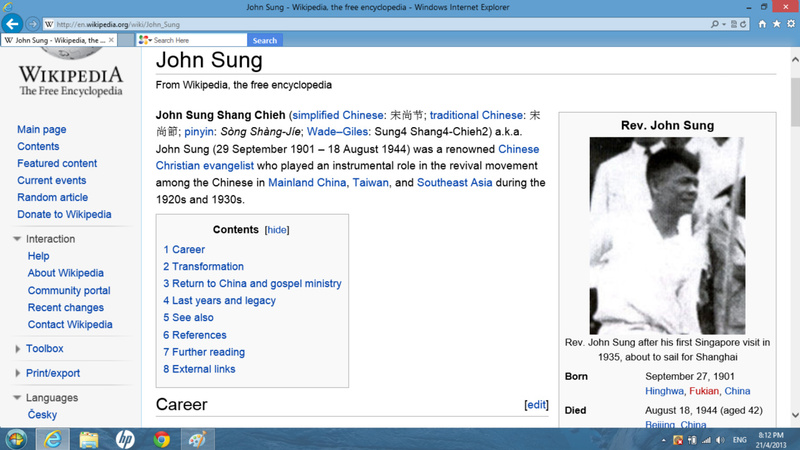 1Chronicles:23:16: "Of the sons of Gershom, Shebuel was the chief." 2Chronicles:36:6: "Against him came up Nebuchadnezzar king of Babylon, and bound him in fetters, to carry him to Babylon." Job:6:21: "For now ye are nothing; ye see my casting down, and are afraid." Psalm:7:4: "If I have rewarded evil unto him that was at peace with me; (yea, I have delivered him that without cause is mine enemy:)"
Psalm:71:23: "My lips shall greatly rejoice when I sing unto thee; and my soul, which thou hast redeemed." Psalm:119:101: "I have refrained my feet from every evil way, that I might keep thy word." Proverbs:21:15: "It is joy to the just to do judgment: but destruction shall be to the workers of iniquity." Isaiah:18:2: "That sendeth ambassadors by the sea, even in vessels of bulrushes upon the waters, saying, Go, ye swift messengers, to a nation scattered and peeled, to a people terrible from their beginning hitherto; a nation meted out and trodden down, whose land the rivers have spoiled!" Jeremiah:2:34: "Also in thy skirts is found the blood of the souls of the poor innocents: I have not found it by secret search, but upon all these." Jeremiah:43:2: "Then spake Azariah the son of Hoshaiah, and Johanan the son of Kareah, and all the proud men, saying unto Jeremiah, Thou speakest falsely: the LORD our God hath not sent thee to say, Go not into Egypt to sojourn there:"
Ezekiel:22:23: "And the word of the LORD came unto me, saying,"
Daniel:9:11: "Yea, all Israel have transgressed thy law, even by departing, that they might not obey thy voice; therefore the curse is poured upon us, and the oath that is written in the law of Moses the servant of God, because we have sinned against Him." 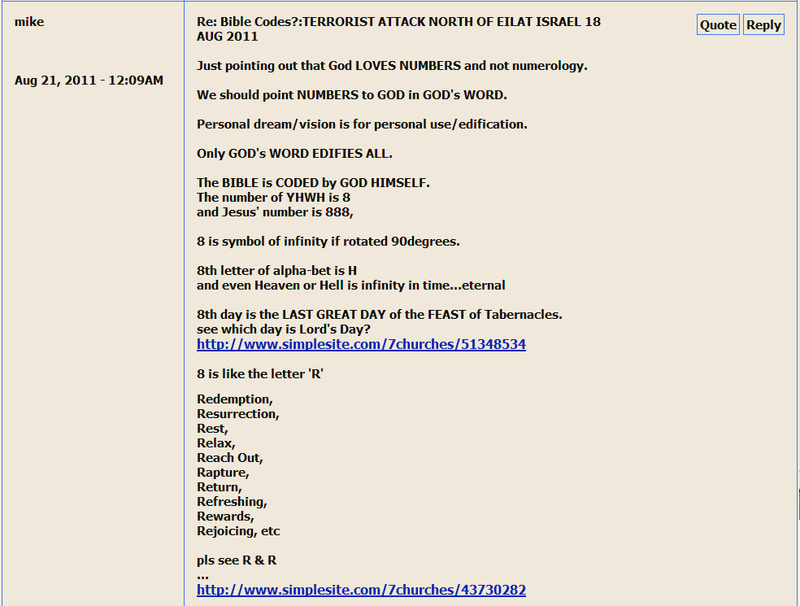 Zechariah:8:23: "Thus saith the LORD of hosts; In those days it shall come to pass, that ten men shall take hold out of all languages of the nations, even shall take hold of the skirt of him that is a Jew, saying, We will go with you: for we have heard that God is with you." Luke:2:26: "And it was revealed unto him by the Holy Ghost, that he should not see death, before he had seen the Lord's Christ." Luke:24:8: "And they remembered His words,"
Acts:3:3: "Who seeing Peter and John about to go into the temple asked an alms." Romans:3:8: "And not rather, (as we be slanderously reported, and as some affirm that we say,) Let us do evil, that good may come? whose damnation is just." 2Corinthians:11:10: "As the truth of Christ is in me, no man shall stop me from boasting in the regions of Achaia." Hebrews:3:4: "For every house is builded by some man; but He that built all things is God." Revelation:18:6: "Reward her even as she rewarded you, and double unto her double according to her works: in the cup which she hath filled fill to her double." 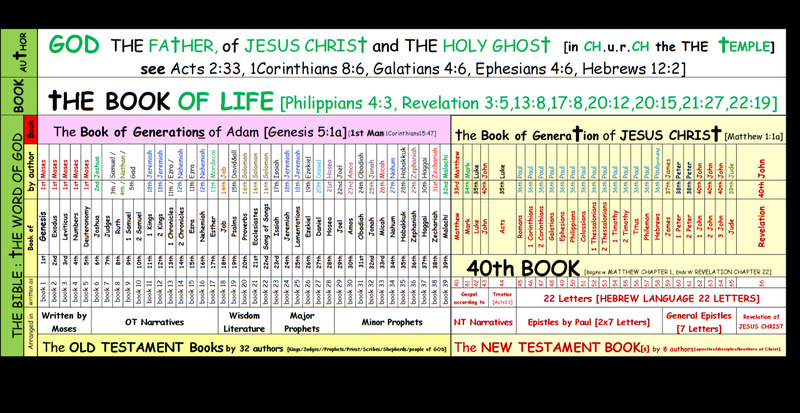 There are 31102 verses in the KJV Bible. and forget not all his benefits:"
There are 23145 verses in the Old Testament. save only with the king of Israel." lest I come and smite the earth with a curse." There are 7957 verses in the New Testament. and serve me in this place. " and he that despiseth me despiseth him that sent me. I beheld Satan as lightning fall from heaven. even so, Father; for so it seemed good in thy sight.